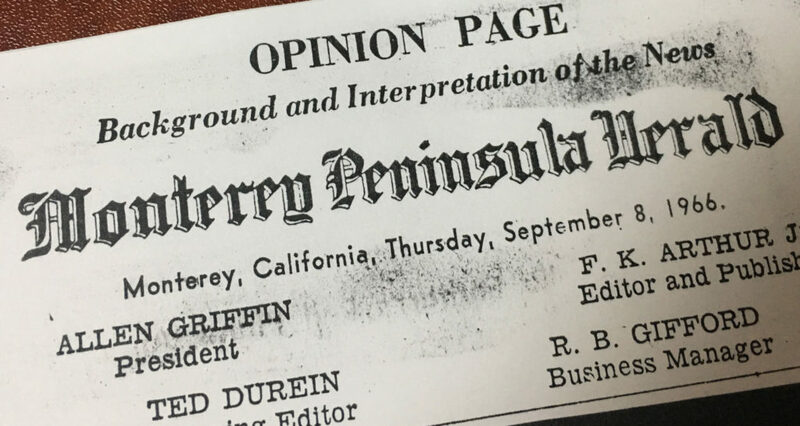 Having fallen in love with the Monterey Peninsula during his many sailing trips to the area, Captain Manuel Perry, a New England Whaler and Ship Captain, decided to move his family to Monterey. 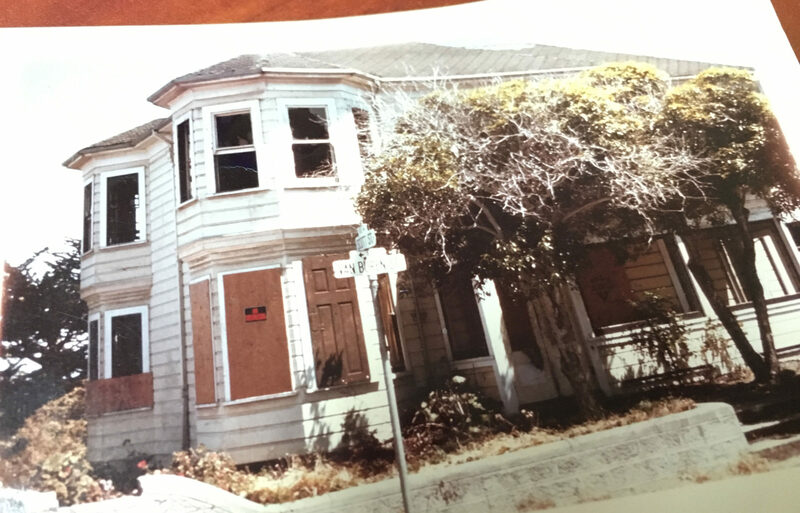 Captain Perry built the original house in 1860 where his family lived for generations, but during the depression and war years of the 1930s-1940s the house fell in disrepair and was later marked to be replaced with an apartment building. 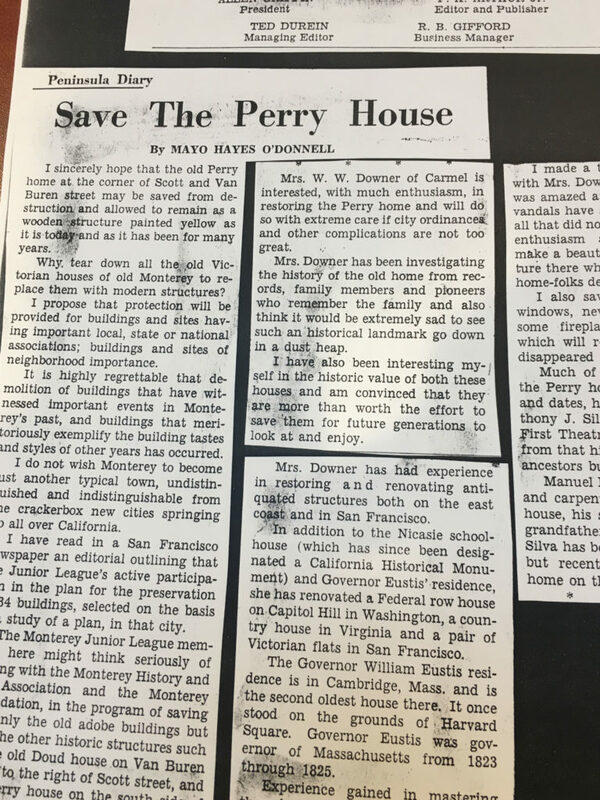 Thankfully, in the 1960s, Margaret (“Maggie”) Downer saw the property’s potential and set out to save it. After many meetings with the city council, she convinced them to let her bring the property back to life. Ms. Downer conceived the idea of a party room for the Carriage House, which sits among the gardens and was originally a true carriage barn and horse stable. She hired a famous San Francisco Architect to design it around a huge stained-glass dome that she found in San Jose. From the 1960s into the 1990s, the Perry House has been home to art galleries and flower shops, as well as a restaurant and tea room. In the late 1990s, Ms. Downer sold it to the Monterey History & Art Association who used it to display a Historic Costume Collection. In 2010 the History & Art Association needed to sell the property, and even though The Perry House was again in desperate need of extensive care and love, the Events by Classic Group saw through it and sought to expand on Ms. Downer’s original intent and turn the whole property into a dazzling special events venue. Now, The Perry House again sits proud and we expect it will last another 150 years while creating wonderful memories for all who enter. 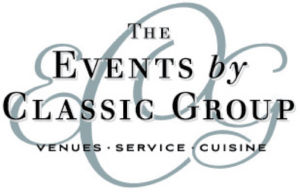 The Events by Classic Group owners knew The Perry House could be a spectacular event venue to share with guests worldwide. How could it not be? The bones were solid, the views beautiful, and the location convenient to the convention center and beautiful hotels. Today, the property includes the “Carriage House” with Ms. Downer’s stained-glass dome, the original fireplace surround from the main house, and a wonderful historic photo gallery; a lovely courtyard, with its fragrant and colorful gardens, a cozy fire-pit, water fountain, and grand pizza oven are where most guests find themselves lingering, and the Main House, where you will find the “Captain’s Room,” often used for dining and dancing, as well as the aptly named “Harbor View Lounge” and deck on the 2nd floor, is the perfect spot to enjoy the views that are engaging by day or night. The property is laid out to enjoy a style of service that might be considered a bit more innovative and contemporary to traditional affairs. While we are happy to do any style service, our clients are finding that their favorite is our roaming reception. We provide stations around the property with different taste-treats, as well as small plate delicacies. This is service at its best — guests enjoy roaming from room to room, from fire pit to the Carriage House, gazing at the view, and all while enjoying delicious food, pleasing beverages and pleasant conversation.